Wonderful News From Bristol | Ukulele Kids Club Inc. This is a 4 year old lad who has to ‘sit still’ for about 3 hours, twice every week for renal treatment. 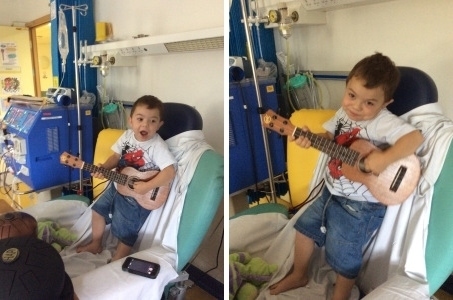 He already wants to be a rock star so the ukulele is just great for him. I have done some training with our teachers who are very keen to put it into practice and I am due to teach the play staff next week. We have plans in the school to learn a few harvest songs in September when they get back and Christmas songs after that so all going well. We’ll look out for the next batch and many thanks.